Atenas has a population of around 5,000 in the town and a total of 18,000 people if you include the surrounding suburbs. It is located on the Central Valley's western edge at 700 - 800 meters altitude. (or 2,400 ft.) It is known for its exceptional climate throughout the world! This town is the hub of a prosperous agricultural area. There is a weekly farmer's market filled with fresh vegetables, fruits and herbs - a true country experience! Atenas is a quaint village which is clean, safe and surrounded by scenic mountains. It has many amenities for a smaller town such as a community health center, pharmacies, doctors, dentists, a tennis court, a fitness center, swimming pools, parks, banks, shops, bed and breakfasts and restaurants. There are 3 private affordable bilingual schools. 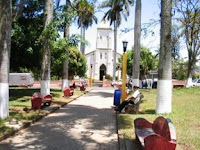 The center of town has its white immaculate church and its picturesque park lined with palm trees. It is the perfect place for anyone who loves nature, an ideal climate and a friendly, relaxed atmosphere. Its location is ideal since it is only 20 km. (12 miles) from the International Airport, 35 km. (21 miles) from San Jose and 50 km. (30 miles) from the gorgeous Central Pacific beaches. Therefore, you have the best of both worlds, far away from the congestion of San Jose, yet close enough that you can enjoy malls, restaurants, nightclubs, movies in Alajuela or Escazú. Atenas is open to foreigners and the social inequalities are very few. 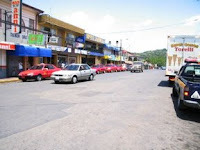 Already approximately 300 North Americans and Europeans have chosen to live in this area and moreover, many Ticos from San Jose have a country estate (quinta) in the surrounding hills. Due to the growth, there are now two new gated developments which will further enhance this beautiful community! Since it is still more affordable than many other areas in Costa Rica, you can find homes on larger parcels of land with wonderful views, perfect for the retiree and/or family. As the Costa Ricans say, "Pura Vida" or the pure life is found here!